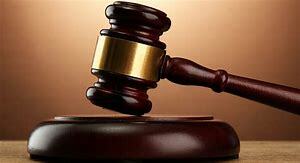 AN 18-year-old woman from Insuza in Matabeleland North Province has appeared in court facing a charge of culpable homicide, after she allegedly burnt to death her baby in a suspected traditional healing ritual. According to court documents the woman Belinda Mpofu, allegedly committed the offence on 10 March this year. It was stated that Mpofu was trying to perform a traditional healing ritual on the baby, whose age was not given, to exorcise evil spirits. She took some herbs that she sprinkled on hot charcoal so that it burns while the baby would inhale the smoke. She is reported to have left the baby in a room for a few minutes only to return to find a huge fire having broken out. It is believed the charcoal may have ignited and burnt blankets on the bed where the baby was lying. She appeared before Bulawayo magistrate Mr Jechonia Ncube, while Mr Leonard Chile presented the case for the State.